On behalf of the government and people of Grenada, Prime Minister Dr. The Right Hon. Keith Mitchell congratulates Prime Minister, Hon. 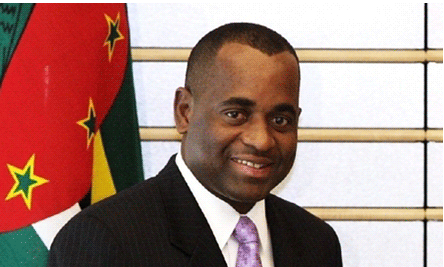 Roosevelt Skerrit on his re-election as Prime Minister of Dominica. Prime Minister Mitchell was among the other regional leaders and their delegations attending the CARICOM–Cuba Summit while the elections were taking place in Dominica, and learned of the re-election news from President Castro Ruz of Cuba, who made the announcement at the official event. When asked for a reaction, Dr. Mitchell not only congratulated his counterpart, but also congratulated the people of Dominica for another peaceful expression of their democratic rights, as they have once again taken a major stride in strengthening their development thrust. The two Prime Ministers are friends, having worked together at the regional level for years, and theirs is a relationship based on mutual respect and cooperation. Prime Minister Mitchell reiterated his personal support as well as his country’s commitment to maintaining and advancing excellent relations with the government and people of Dominica and the rest of the region. Hon. Roosevelt Skerrit and his incumbent Dominica Labour Party defeated the opposition United Workers’ Party in the 8 December elections by winning 15 seats to the UWP’s 6.